Join us for a day of camaraderie, team spirit and share in the joy of giving back. 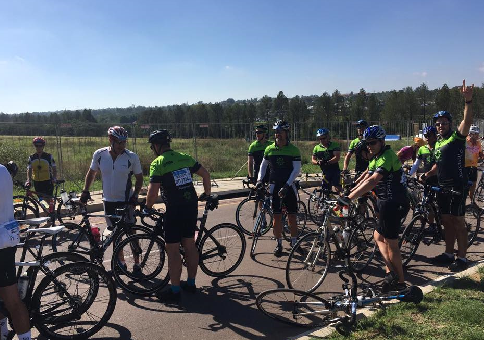 We are so excited to once again be entering this annual event as a charity of choice in the Telkom 94.7 cycle challenge. 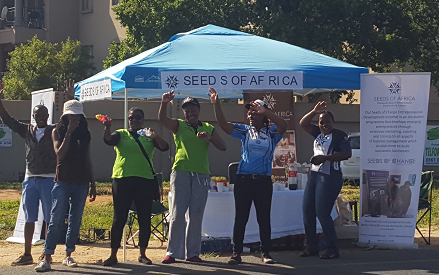 Last year we were overwhelmed with the support of riders that chose to ride for Seeds of Africa. 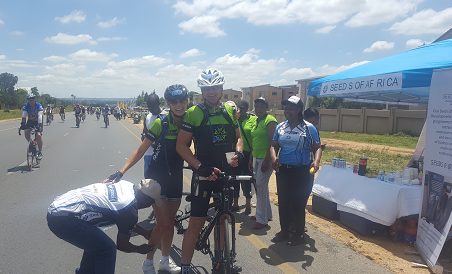 It was a fun filled day, albeit a very strenuous one for the riders that were supporting us in making a difference to the lives of the beneficiaries we support with each pedal! To get the ball rolling to be registered as a charity of choice to ride for we need 20 riders – please put your name on the attached form and we will be in contact with you on the steps to follow to register for this years’ cycle challenge. 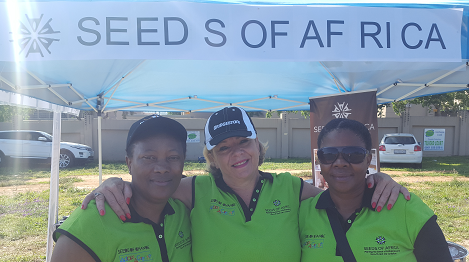 Together with your entry fee paid to register with Telkom 94.7 we request that you make an additional donation of a minimum of R500.00 to Seeds of Africa which will go towards us meeting our objectives for empowering the Entrepreneurial Businesses and Early Childhood Development Centres we support. We are proud that NJR Steel will once again sponsor the hospitality side of things on the day where you can join our team and all the Seeds of Africa riders for a much needed refreshment after the race. All listed cyclists below MUST ALREADY BE ENTERED AND PAID for the Cycle Challenge at www.cyclechallenge.co.za for 2017! Team leader will need to add the provided cyclists into their team link once I have verified the team and have sent the team leader the entry link for the charity team. 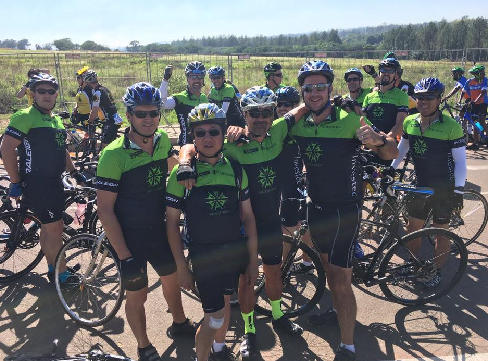 ENTER THE CYCLE CHALLENGE AND SUBMIT YOUR DETAILS HERE TO BE PART OF THE SEEDS OF AFRICA TEAM!